Don’t know the Bulldog Billy personally, but Gadora DOES know he’s cute. 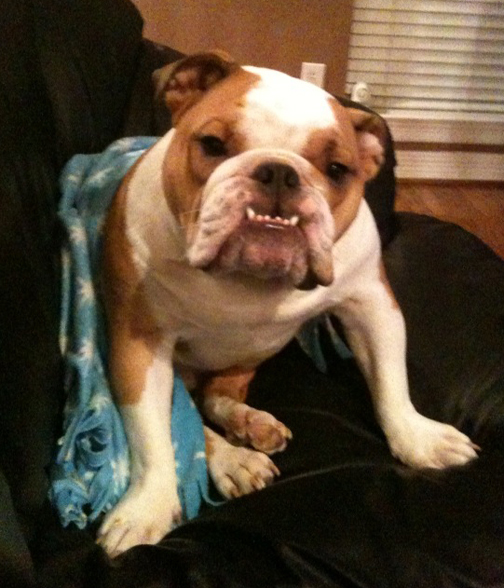 Nestled on his comfy Dallas sofa, he strikes a triumphant pose. “Billy has the most personality of any dog I have ever owned,” offers his proud Mama. Abraham Lincoln once said, “Hold on with a bulldog grip, and chew and choke as much as possible.” Billy’s is a tenacious grip. “At home he is a bit of a baby and I really think he thinks he is a child and not a dog. He has a box full of toys and loves to play with them, especially ones with squeakers which he makes his mission to get out of the toy.” Looks like he likes sneakers, with or without squeakers! 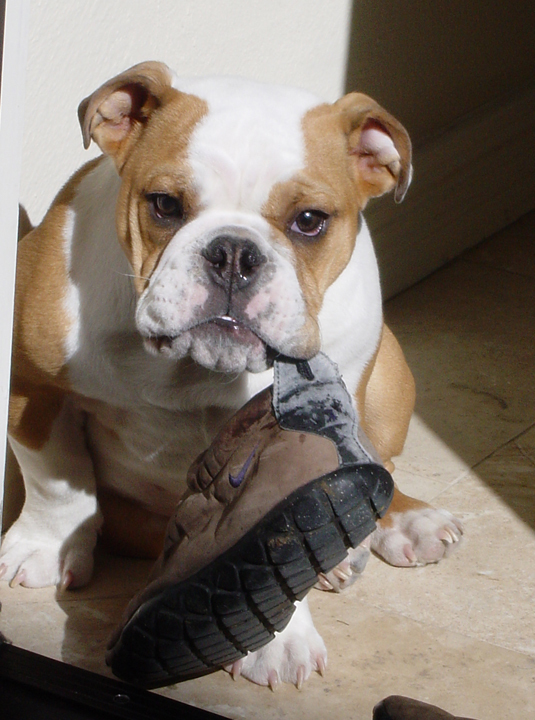 www.bulldoginformation.com ~ Naming your Bulldog. 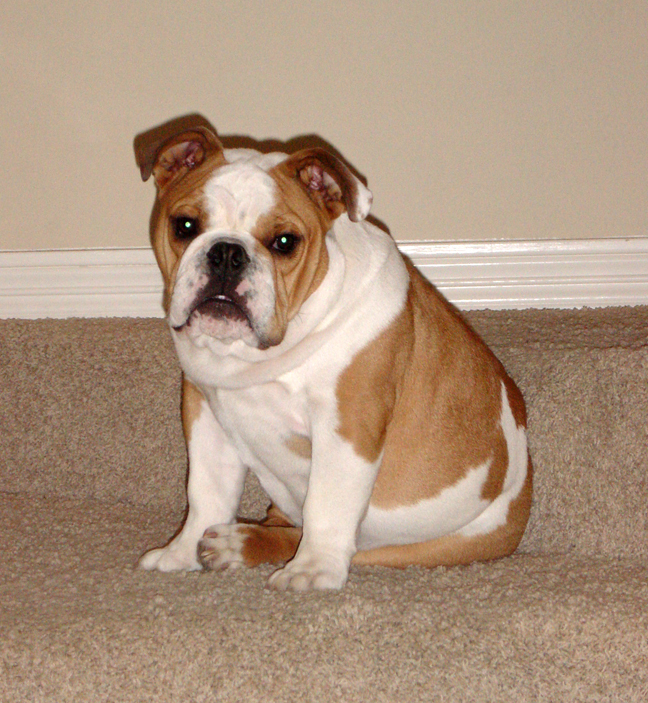 www.champbulldogs.com ~ A montage of the cutest bulldog puppy videos EVER…. 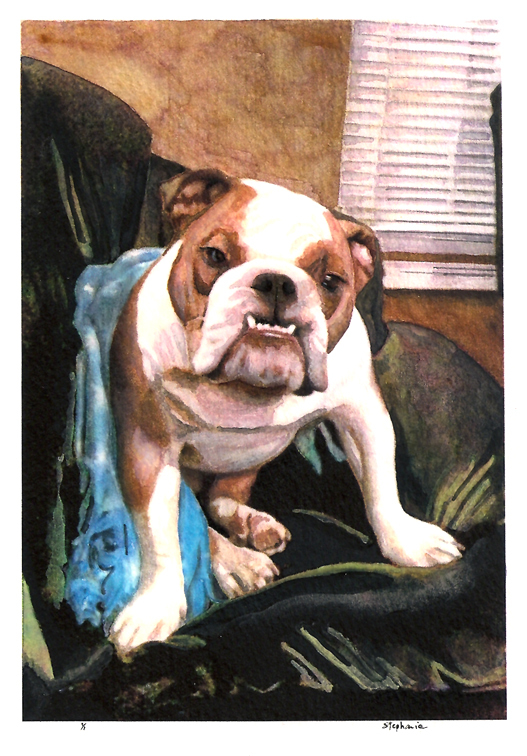 Posted on January 26, 2010 January 26, 2010 by gadorawilderPosted in ANIMAL PRINTSTagged animal print, English Bulldog, water color. Billy has brought new joy and excitement into Beth and Jim’s lives! He should be in advertisements.